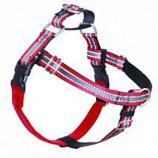 The Freedom Harness is in-stock and ready to ship! Available in 18 color combinations. FREE economy Processing & Shipping on orders over $34.99. Get it quicker with Priority service AND Priority shipping for only $6.99. 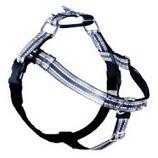 The Freedom No-Pull harness was designed, invented and patented by this website's co-owner, Jessica MacDonald.